Roll the dice. Send some carrots to the LEFT. Send some apples to the RIGHT. Send some wheat to the BANK. And take back your broccoli. Just don't let anyone control your entire crop or you're out of the game! Farming has never been so dicey! Object of Farming Dice is to be the last farmer with tokens. Farming Dice requires some strategy and a little luck of the dice. 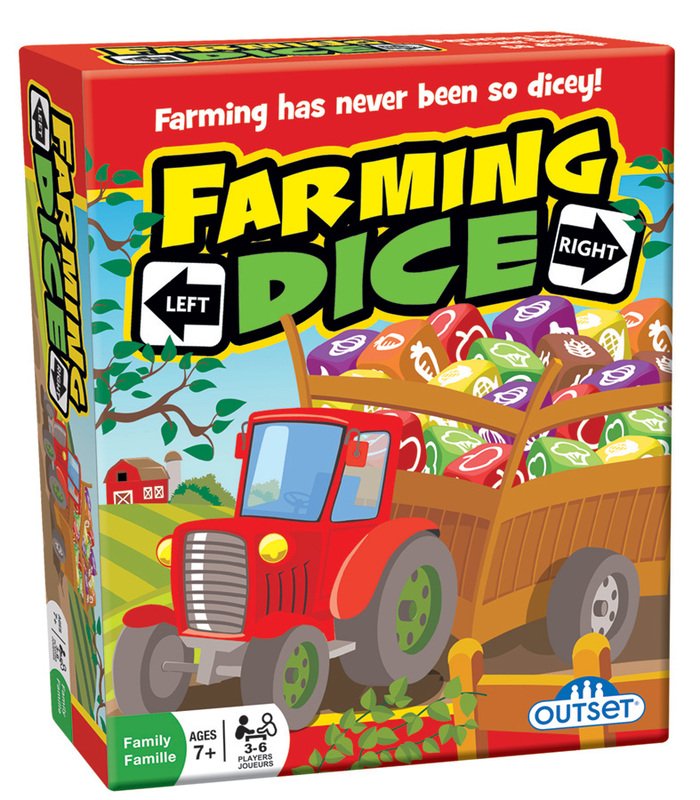 The roll of the dice determines which crops to move, but the player decides where the crop goes - and if you play it strategically, you can eliminate a farmer from the game. Take a look at the instructions for more details. Case Pack 8 Width 5.875"
Item # 19400 Weight 0.50 lbs.